If this happens to you, then there is a simple fix to this. 1) Install Windows 7 Ultimate and update and install all the latest patches. By doing so you can avoid diskless boot failure. 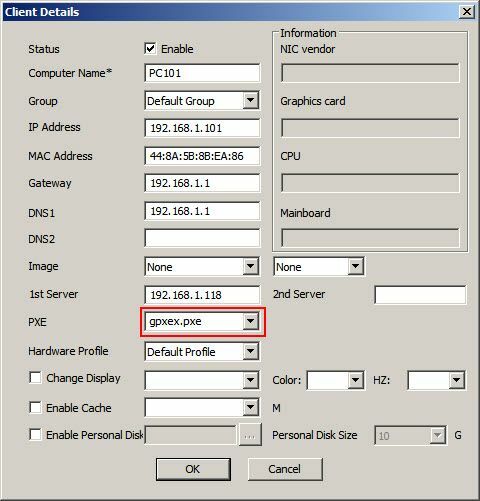 2) If you are using Windows 7 Home and want to update to Windows 7 Ultimate, then you should install the latest patches after upgrading, this also help in preventing diskless boot failure..
3) If doing, above steps does not fix the diskless boot failure then please try to change the default PXE value of "gpxe.pxe" to "gpxe0.pxe" or "gpxex.pxe" (Figure 2). 4) After changing the pxe file, try booting and see if it boots. If the boot is successful then change the PXE for all you clients. 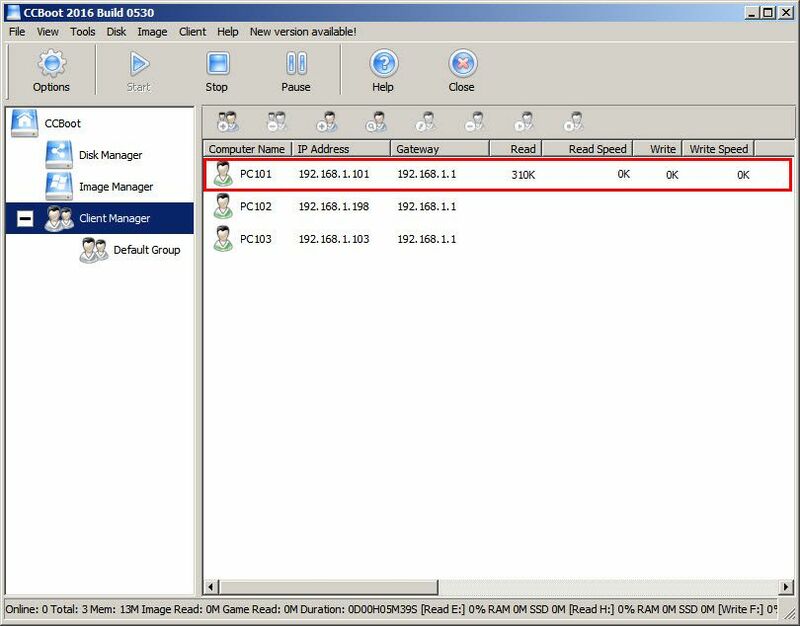 Another cause of this problem is the improper configuration of CCBoot Server network. Especially if your Internet connection is coming from the outside of your network and then you also set your CCBoot server IP which is the same subnet of your outside Internet connection. When you boot the client, you will see in the CCBoot server it’s just stuck at 400k read speed. 1. Supposed you have 2 Server NICs in your CCBoot server, the 1st NIC is connected to your local network Gigabit Switch, and then the 2nd NIC is connected to your outside internet connection. 2. What are you going to do is to set your 1st NIC as your CCBoot server NIC only. 4. Test the diskless booting and it will solved the issue.